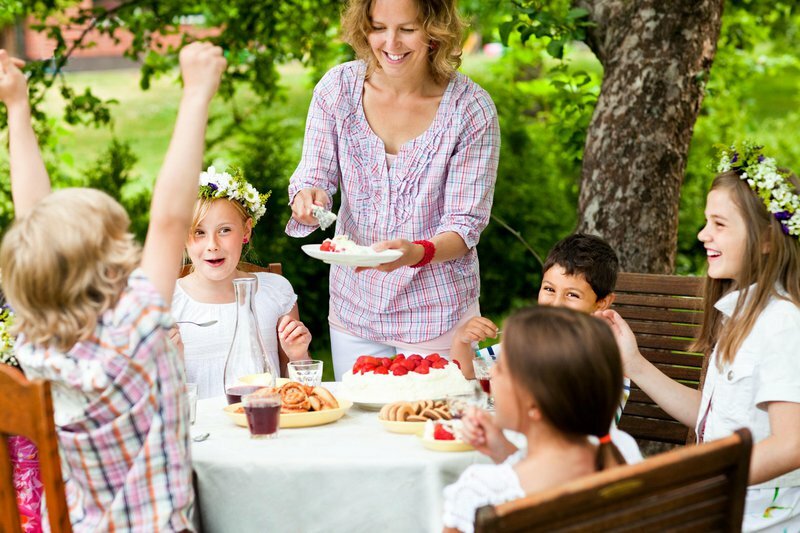 An authentic Swedish strawberry cake is essential for a Midsummer feast. 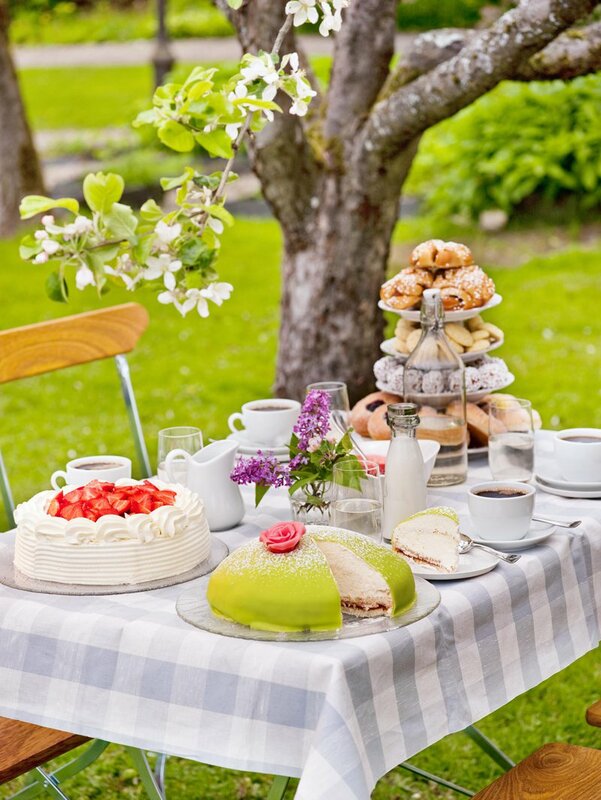 With this Swedish princess cake recipe you can host your own Swedish fika! Every year, in the days leading up to midsummer, the cost of strawberries tends to skyrocket in Sweden. This is because Swedes have to eat strawberries and, more specifically, strawberry cake on midsummer’s eve – no matter what the cost. An authentic Swedish strawberry cake is as simple as it is spectacular. It is essentially a regular sponge cake filled with vanilla cream on the first layer, strawberry jam on the second and then smothered in whipped cream and strawberries. Once finished, the strawberry cake is a sight to behold in all its red and white glory – colourful, decadent, and absolutely mouth-wateringly delicious. When it comes to birthday traditions, the Swedes are divided. While some prefer strawberry cake, others will say the only way to celebrate a birthday is with princess cake. Princess cake is essentially a layered sponge cake filled with custard, cream and raspberry jam but what makes it truly remarkable is that it is draped with a bright green layer of marzipan. A feast for the eyes as well as the taste buds! Literally translated as sticky cake, or even messy or smudgy cake, kladdkaka tastes a lot better than it sounds. This dense, sticky chocolate mud cake is like a Swedish version of a brownie. It gets its soft, gooey centre from not being baked all the way through, which is also what makes it so uncommonly tasty. Serve with whipped cream and raspberries and don’t be shy about going back for seconds. Named after Napoleon Bonaparte, it will come as no surprise that this classic Swedish pastry is based on a French recipe. It is essentially no different to a French mille-feuille vanilla slice, or a British custard slice, in the sense that it is full of cream and custard and smothered in fresh strawberries or strawberry jam. What is different, however, is the Napoleon pastry has been awarded its very own day in the Swedish calendar, 17 November.